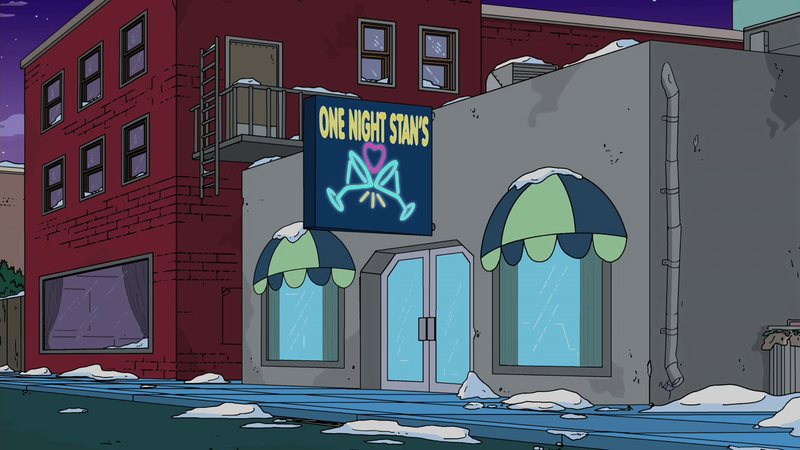 One Night Stan's is a nightclub in Springfield. Homer and Moe came here to get Moe a date. Homer used a variety of tactics to get Moe with other women while here, including stealing a woman from Lenny. The name is a play on the phrase "one night stand". One Night Stan's (or perhaps a different one) appeared as a gay bar in "Three Gays of the Condo".